The last time we went overseas our house was robbed while we were away. It was immediately clear to us that the thieves who robbed us were not very sophisticated drinkers. They took a half empty bottle of Smirnoff and left a sealed, boxed bottle of Courvosier VSOP. They stole a bottle of off-brand Irish cream liqueur, and left a sealed bottle of Blanton’s bourbon. Etc etc. Now that another trip abroad is not too far off on the horizon, we’ve decided we want to thin the bar a little before we go. Instead of buying bottles for everyday drinking and saving the rest for some special occasion or whatever, we think it might be prudent to save a few dollars and protect our stock from petty burglars by drinking it up before they can get to it. We can replace it all when we come home again. 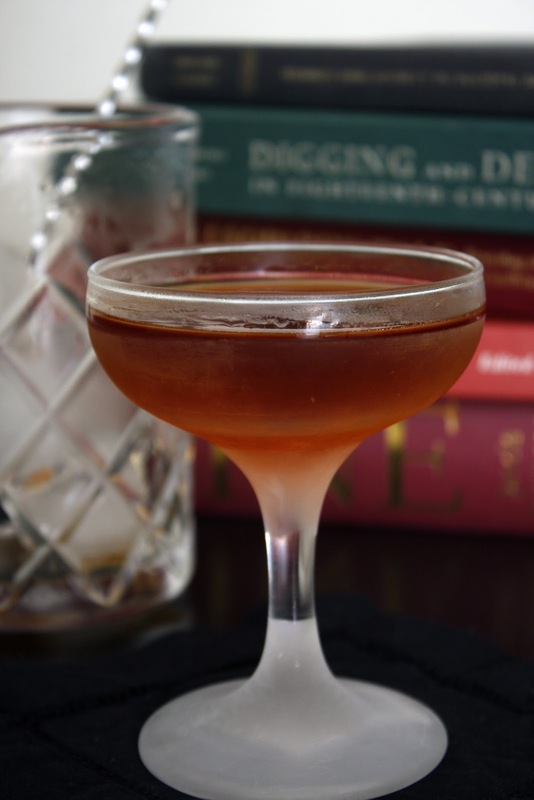 A visual approximation of the Chancery cocktail. It was this grand experiment that led us to invent the Chancery cocktail. One of the underused bottles on our bar is Calvados. Although we like Calvados a lot, we use it only sparingly, so we set our mind to polishing off the bottle. As we’ve said many times before and continue to believe, the very best cocktails are incredibly simple to make and have as few ingredients as possible. A drink recipe shouldn’t read like a grocery list. We had that in mind when mixing this one, and kept it incredibly simple. Pour ingredients into a cocktail shaker over ice. Shake well. Serve straight up in a cocktail glass. We hit on the term Chancery when looking around North Baltimore for a name. Chancery Road runs through the high toned neighborhood of Guilford, and this drink wouldn’t be out of place at a country club bar or an upscale restaurant… or an evening garden party at a Guilford mansion for that matter. The word chancery itself not only conjures images of grand old European buildings where distinguished gentlemen conducted affairs of state (and likely drank their share of brandy as well), but also has a very Catholic connotation which ties it to the very Catholic France and also has a historical connection to Baltimore. 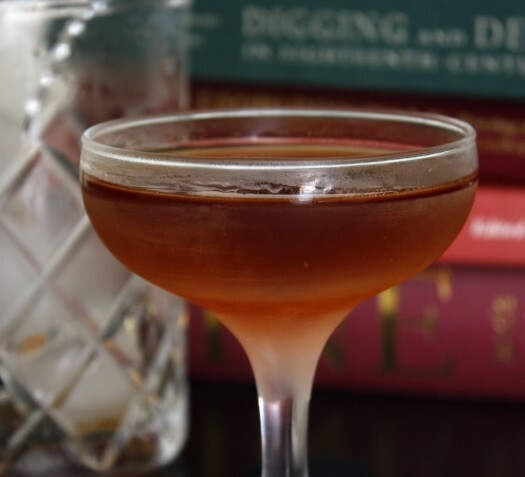 This entry was posted in cocktails and tagged Baltimore, brandy, calvados, Chancery, Cocktails, Drinking, ginger, lemon, Biaxin 500 mg, Recipe. Bookmark the permalink.